I'm sure you don't have to be reminded that your time as mayor of the greatest city in the world is coming to an end. You've formed your Super PAC, and I'm curious to see what you'll do next. There's still much unfinished business in La Gran Manzana, and I don't underestimate your ability to successfully manage post-Sandy recovery while taking bold steps for the future during your final months in office. It seems clear from your actions and statements over the past decade that you have a keen sense of history — including how to make it. You seem to recognize that in a 21st-century world of dynamic global cities, the business of New York is to build and rebuild. 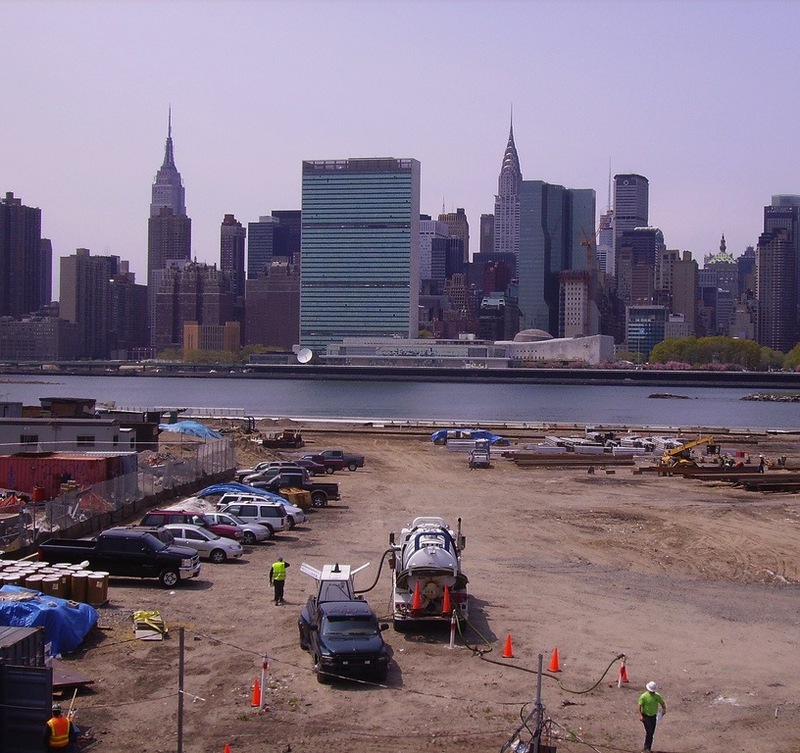 Few mayors will leave as large a physical imprint as you have with the transformation of the West Side, the new Cornell tech center on Roosevelt Island, the Brooklyn waterfront, multiple stadiums and a largely reconstructed lower Manhattan. Yet with the exception of rebuilding Ground Zero, none of your efforts, whether good or bad, rise to the level of true historic urbanism. In extending the 7 train and densifying the West Side, you are doing something that Singapore, Vancouver and numerous other cities have done before. Same with the stadiums, the upzonings and downzonings, the waterfront access, the new luxury towers. These efforts may change the fabric of the city but they do not make history. Even the fabulous High Line is cribbed from your Parisian counterparts. In some ways, this is good. There is too much unhealthy competition among cities, and "making history" is often overrated. The Cross Bronx Expressway made history but was a social disaster. The Zoning Resolution of 1961 changed urban zoning norms across the country, but ended up killing parts of the cities it was meant to protect. The Westway and the Lower Manhattan Expressway are infamous symbols of the hubris of an earlier era, and shining examples of planning gone astray. But there will always be a place for bold innovation in urban development. 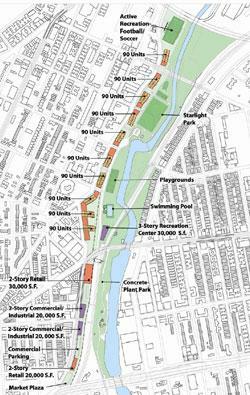 The community plan to tear down the Sheridan Expressway in the Bronx is a once-in-a-generation opportunity. This is a neighborhood devastated by the Cross Bronx Expressway — a historic casualty of Robert Moses's proverbial meat-axe. The plan would become one of the first truly grassroots megaprojects in any major city, driven by organizations and activists who have been working for many years to repair the South Bronx. This would be one of the first highway teardowns designed not to open up prime central real estate, but to benefit an extremely low-income congressional district. It would bring a sorely needed infusion of affordable housing, commerce, light industry, community space and economic activity. 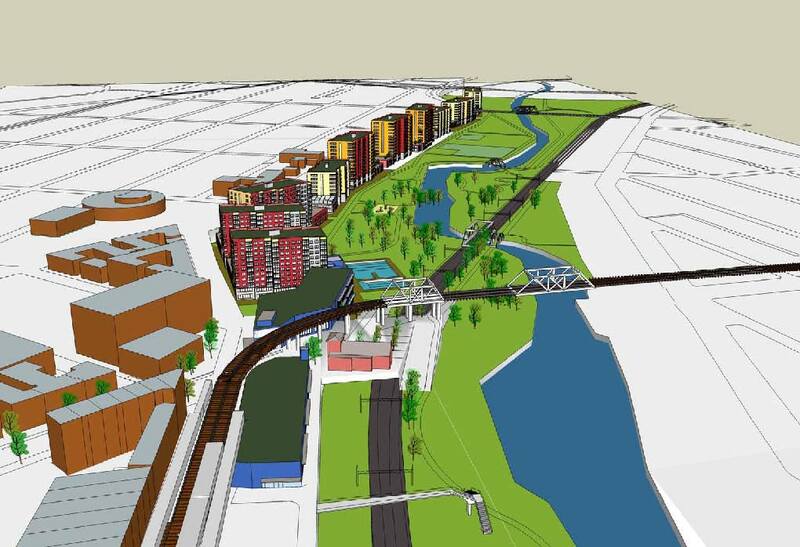 It is a project that gained not only community support but also praise from former New York Times architecture critic Nicolai Ouroussoff and Congress for the New Urbanism president John Norquist. People are watching because they recognize that this is an unprecedented opportunity. Yet instead of seizing the moment, your administration has thrown up roadblocks. You allowed the Economic Development Commission to pressure the Department of Transportation to remove teardown as an option in a federally funded traffic study, placing Janette Sadik-Khan in the position of having to defend that decision. This feeds into the perception that your seemingly progressive actions like remaking the city for biking are really more like new-school gentrification. Nobody is arguing that this development would be easy, or that maintaining traffic flow and delivery to Hunts Point Produce Market wouldn't require serious attention. But challenges haven't stopped you elsewhere in the city, and you've made it a point not to cave in to old political divides and tired planning logics. As you gaze out on these remaining months, I hope you see how profound an opportunity you have in the Bronx. With a little of your customary independent thinking, you can support the efforts of a community on the other side of the income divide, reminding the world that New York City is not afraid to make history. Mr. Bloomberg, tear down this highway!!! Besides being a heroic project, this has important symbolic meaning, a move toward more livable cities by reducing the chokehold of automobile traffic. The Sheridan Expressway connects I-95 with Hunts Point and the Port Morris area- the latter which is envisioned to receive much new re-development, as per the Re-Think NYC proposal to extend LaGuardia airport. Plus new ramps are envisioned to connect the Sheridan with Hunts Point- all of which means more traffic upon the Sheridan corridor. Is ripping out the recently replaced Sheridan roadbed to accommodate greater square footage for new development along the Bronx River, for a traffic light boulevard that must still serve as a major traffic corridor, really the best option. Why not save the money of replacing that Sheridan segment and spend the money instead upon a deck atop, retaining the freeway, but covered with a new north south surface street that would be actually more of a local street than another 12th Avenue-West Street? The topography favors this. The lines of new buildings could be designed with their '1st' floors facing this new raised surface while retaining the existing service roads for underground delivery, and these buildings' walls facing the Sheridan could perhaps double as the outer walls of this now 'tunnelized' Sheridan. The area is going to get far more development and hence human activity so why has that idea not even entered into the consideration?